This traditional Caribbean recipe is simple to prepare and healthy too. It can be served as a delicious side dish to a variety of recipes, or eaten as a main meal. Add the water, coconut milk, tinned red kidney beans and garlic to a saucepan and bring to the boil. 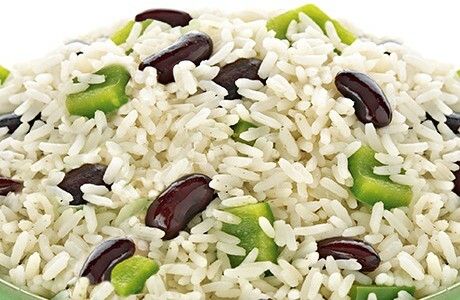 When the red kidney beans are soft add the Easy Cook Long Grain rice, green pepper, onion and salt & pepper and simmer for 12 minutes. Remove from the heat and leave to stand, covered, for a further 5 minutes. When ready, fluff with a fork and serve.